The concept of artificial intelligence has captivated humankind’s imagination for centuries. The idea of creating an intelligent being, capable of learning and growing on its own has long sparked scientific and ethical debates questioning the necessity and the morality of its pursuit. Luckily, the AI we know today is a little less sinister and is often responsible for monitoring our customer service phone calls and picking out which show we might want to watch next, and not necessarily plotting to enslave humanity. Artificial intelligence is all around us with 84% of people interacting with some form of AI in the last year and 50% interacting with AI and not even realizing it. AI technologies span from email spam filters, to predictive text, to reverse image search, and of course Siri - things that many of us interact with on a daily basis. From online shopping to our Netflix accounts, nothing gets past these hyper learning supercomputers. The computing power of AI machines allows for the processing and analysis of amounts of data that would be overwhelming to human workers, then chops it up into bite sized pieces that we can understand. The rise of AI in our workplaces was been slow and steady and now even customer service positions are utilizing the power of the machine to sort their enormous troves of data. Online chatbots for retailers’ sites are nearly all “manned” by robots that are programmed to answer the simple and repetitive questions that many online shoppers have. 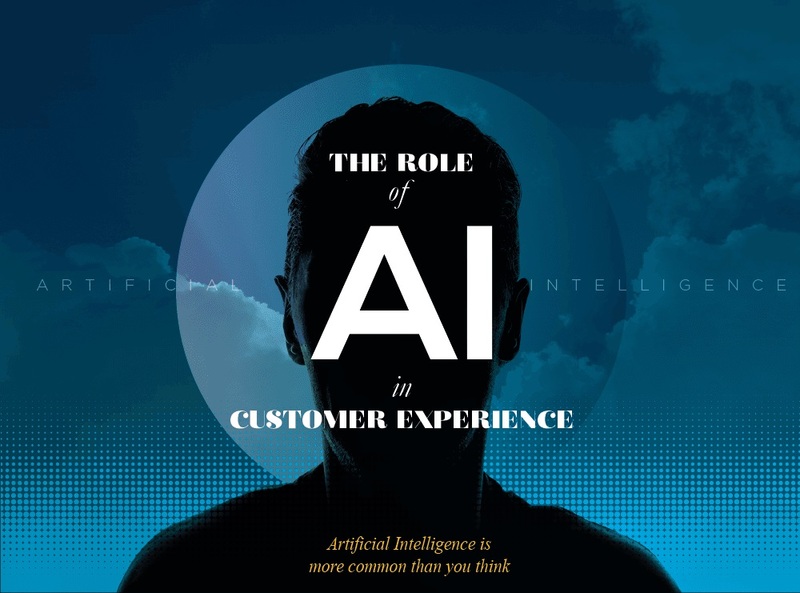 Take a look at this infographic from CallMiner for more on the growing industry of artificial intelligence customer service and how we can use AI to improve customer experience everywhere.